Each side stores 12 words; 24 in total. Protected against fire, water and shock damage. Cryptosteel is the ultimate backup of you Recovery Seed. 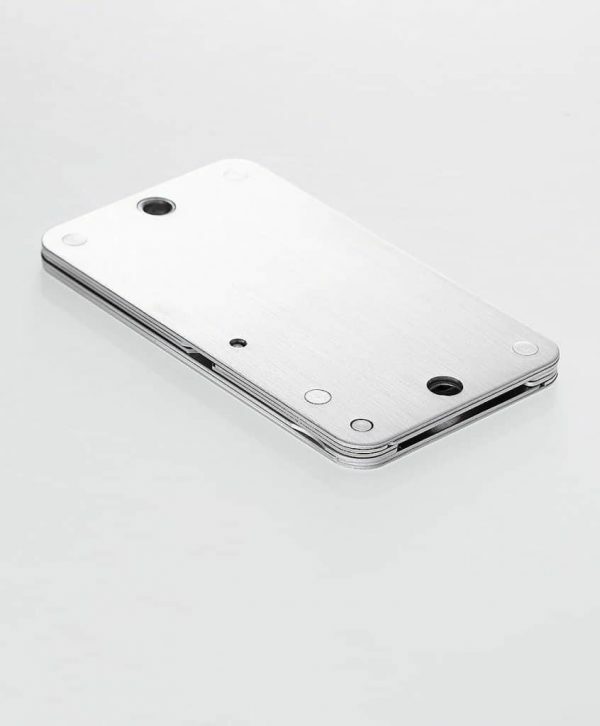 Instead of the usual paper backup, this steel casing allows you to store your 24 words securely. Safe from water, fire and other hazards. 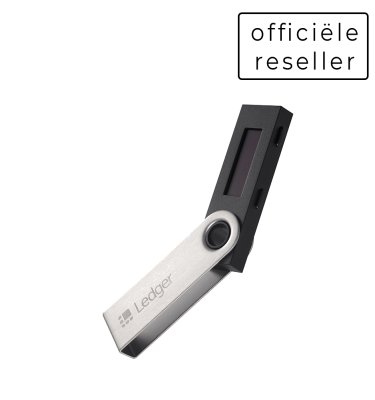 Using the Cryptosteel you can store your 24 word seed extremely safe, without risking your final backup. 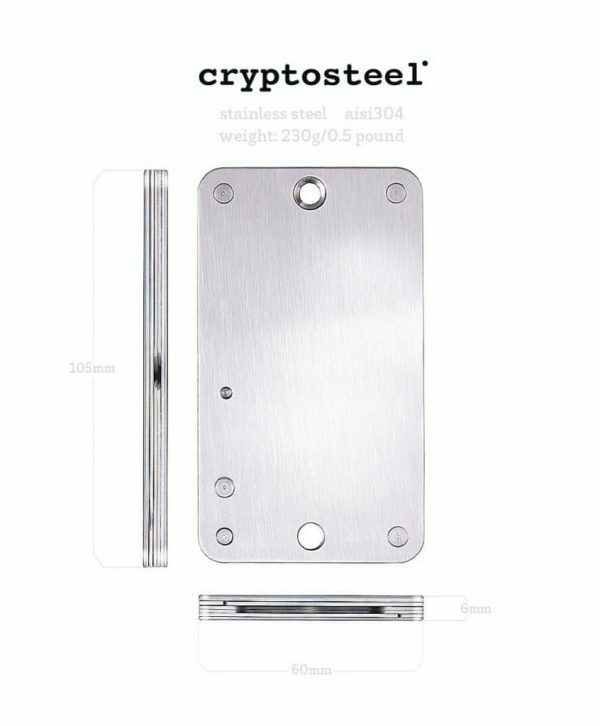 Cryptostel is made out of 100% stainless steel (AISI 304) and is very robust. This makes it able to withstand water and fire damage. It resists temperatures up to 1200°C. 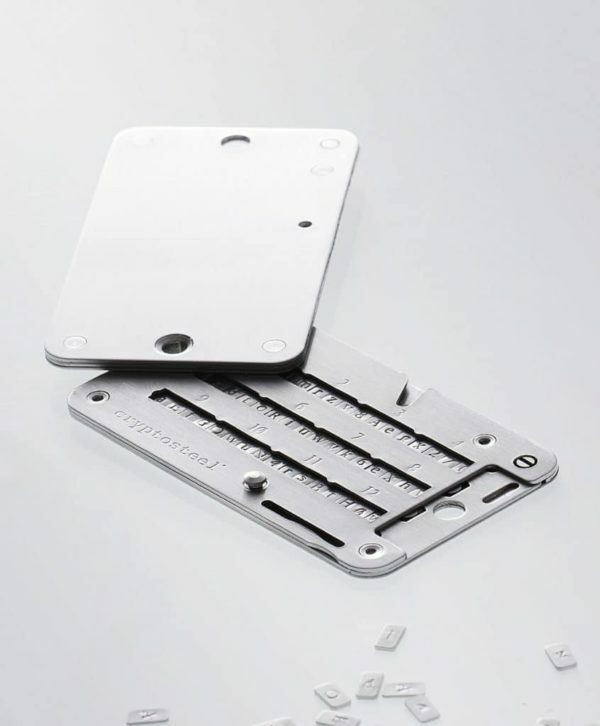 The stainless steel casing is suited to store all 24 words thanks to the included steel letters. The indestructible casing has 250 stainless steel letters including with double sided engraving. 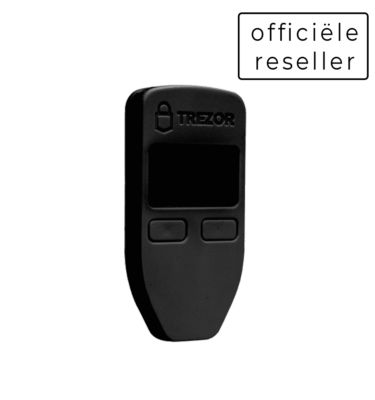 All 24 words can be constructed using these letters, making the Cryptosteel suitable for almost any hardware wallet, including Trezor, Ledger and Archos. After you have placed the letters into the steel casing you can firmly put them in place, after which they will be stored for basically forever. It is a safe backup of your Recovery Word Seed, protected from physical damages from outside. 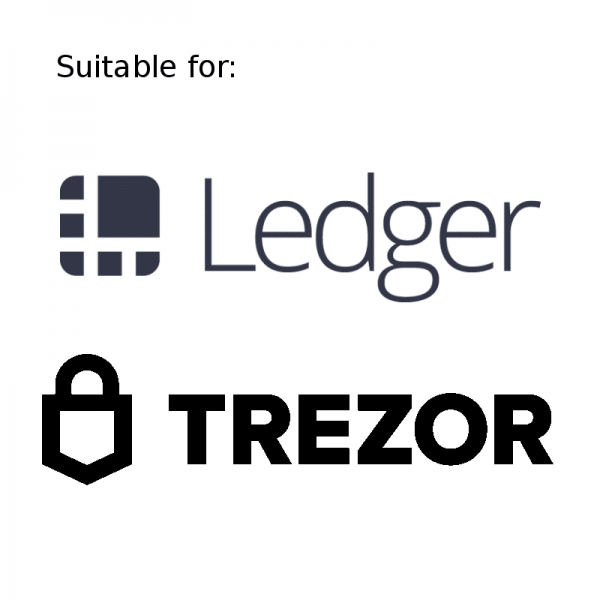 What is special about the BIP39 word recovery (used by most of the manufacturers) is that you only need the first 4 letters to be sure you have the right word. Therefore you don’t need every letter of the 24 words, just the first 4.